How Soda is Slowly Killing You. Soda is quite a tasty beverage that we all enjoy taking, but you will be surprised by how useless it is. For a fact, it does more harm than good, slowly killing you and you don’t even know it! With the multiple studies conducted to show the effects of drinking soda, there are more reasons for you to quit soda for good. All soft drinks contain high fructose corn syrup(HFCS) which has been proven by research to prompt a hunger hormone in the body. As a result, you end up eating excess food that the body doesn’t even require. Actually, soda has no nutritional value to the body, just calorie increase. According to research, soda intake interferes with the microflora found in the intestines and this slows down the absorption of nutrients. You are then forced to eat more so as to get those nutrients. Diet soda is not any better! In fact, it is a bigger culprit and is also linked to health problems like diabetes and obesity. Evidence-based studies reveal that diet soda makes you fat! So, if you are trying to cut down some weight, quit drinking the so-called diet sodas and other soft drinks. Most soda cans and bottles are coated with bisphenol A (BPA), a chemical used to make plastics. The harmful industrial chemical linked to health problems in both adults and children seeps into that soda you frequently binge on. The more you drink, the more BPA you introduce to your body and the ugly result is increased blood pressure and other health issues. As well, a lot of sodas contain HFCS which is made up of industrial chemical residue. A study once revealed that over 50% of the soda samples tested contained Mercury! To boot, production of most sodas is done with tawdry and unfiltered tap water full of industrial runoff and other harmful chemicals. Need I say more? The more soda you drink, the more your bones are prone to fracturing. Soda contains phosphoric acid and caffeine which weakens your teeth. Instead, substitute it with milk which is rich in calcium that strengthens your teeth. Soda has a tendency of clinging to the teeth. This is accompanied by tooth erosion as a result of the acid-producing bacteria sitting on your teeth. By quitting soda, you evade the risk of osteoporosis later in life, as well as dental caries and tooth decay. With the high levels of added sugars, consuming soda multiplies the chances of developing diabetes type 2. Again, diet soda should not be an option as an excuse to avoid this risk because it all works the same. 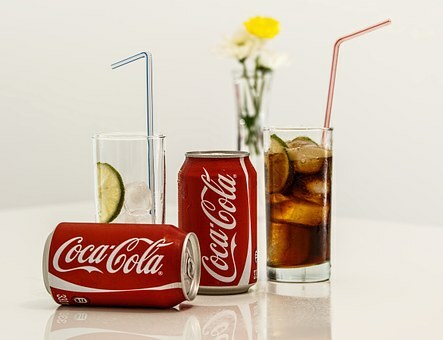 University of California researchers in the Physiological Science department carried out a study which later disclosed that drinking a soda daily increases diabetes type 2 risk by 36 percent. This study also linked soda intake to metabolic syndrome. Research shows that diet soda has a 60% risk increase on strokes as well as heart diseases. Another study revealed that a person who regularly takes soda stands a risk of 20 percent more exposure to a coronary heart disease and more studies have associated both diet and non-diet sodas with heart attacks. Ideally, a lot of people relate sodas with obesity which results in heart problems and other health complications, but being obese is not necessary for the negative side effects to manifest themselves. Soda has extremely negative effects on our bodies. It is not a surprise that most people don’t know what they actually do to themselves by regularly drinking it. You may think little amounts won’t hurt but in the long run, the odds are against you. I am a go getter, a believer, and a reticent young woman who believes in the glass half full. I love writing about health to inspire others to lead better lives. The #1 Thing You Can Do For Your Health RIGHT NOW.